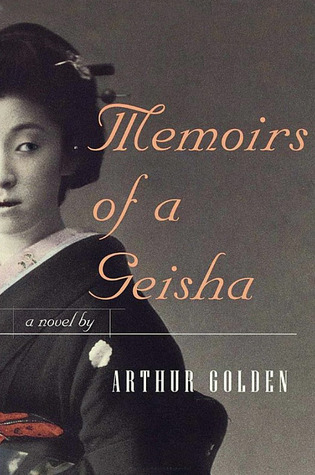 I had wanted to read Arthur Golden's "Memoirs of a Geisha" ever since seeing the movie several years ago. When I finally did, I discovered that the book is filled with just as many lush visual details but that the story is a little less romanticized than in the film. This shouldn't be a surprise, since Hollywood movies tend to heighten drama, but the most striking part of this book is how much of a geisha's life is mundane. Far from being a glamorous existence, Golden's novel exposes this bygone profession as both painstaking and heartbreaking. The rewards were few for most of the women who spent their entire lives training to entertain; spending hours perfecting their appearances; and maintaining strict codes of behavior. For those who managed to make the right connections and climb the social ladder, they could hope to secure a wealthy benefactor. Others struggled, especially as they aged. This book has been the subject of some controversy, since Golden based it on interviews with geishas, one of whom objected to the way he portrayed events in the book. Yet, fictionalizing the book allowed Golden to pick and choose details and to focus the story in a way that lent the most drama. These were wise choices, and the book, while it may not tell any one geisha's story, nevertheless tells the story of many woman whose profession, like their stories, has slipped into the past. Sign into Goodreads to see if any of your friends have read Memoirs of a Geisha.